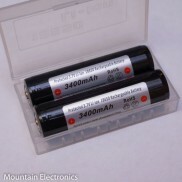 Shorter battery tubes allow you to reduce the overall length and weight of your flashlight by running a shorter battery. The tradeoff is reduced runtime. Extension tubes allow you to extend your runtime by adding extra cell(s). If your light has been modified, you will need to double check to make sure that the driver you are using can handle the extra voltage. This replacement tube gives you full-time 2x26650 capability without an extension along with incredi.. This tube will let you transform your black Convoy S2+ 18650 light into a shorter 18350 light!&.. This tube will let you transform your blue Convoy S2+ 18650 light into a shorter 18350 light! .. 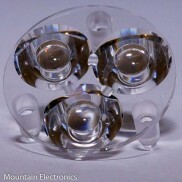 This tube will let you transform your clear Convoy S2+ 18650 light into a shorter 18350 light!&.. This tube will let you transform your sand Convoy S2+ 18650 light into a shorter 18350 light!&n.. 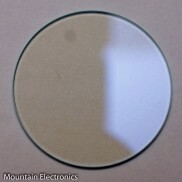 This tube will let you transform your green Convoy S2+ 18650 light into a shorter 18350 light!&.. 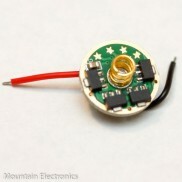 This tube will let you transform your grey Convoy S2+ 18650 light into a shorter 18350 light!&n.. This tube will let you transform your red Convoy S2+ 18650 light into a shorter 18350 light!&nb.. 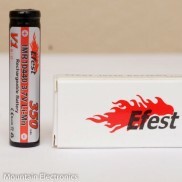 This 18350 tube will allow you to shrink your Emisar D4 or D1 flashlight down to an e.. This 18350 tube will allow you to shrink your Emisar D4Ti flashlight down to an even smaller size! &.. This extension tube will allow you to run use additional 18650 batteries on your M2-Z. This is..